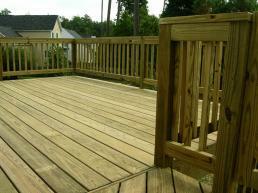 Do you have plans in getting timber decks? Consult Streamline Property Developments today! We are Western Sydney's timber decking experts, from design planning, installation to maintenance. We will never compromise quality as we only use the best materials for your project. Rest assured that your timber decks will add attraction and value to your home, and comfort for relaxation. Let us work on your project now!